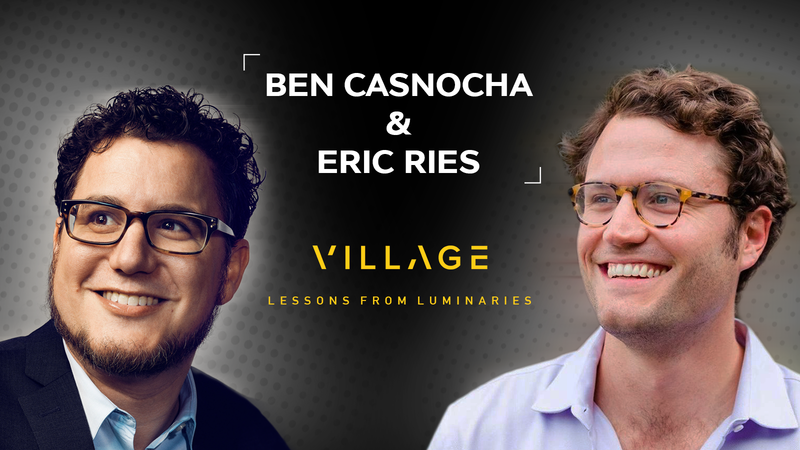 Eric Ries recently joined Village Global co-founder and partner Ben Casnocha in San Francisco to chat with some of the founders of our portfolio companies. Eric is a Village Global LP, friend of the firm, and the author of The Lean Startup: How Today’s Entrepreneurs Use Continuous Innovation to Create Radically Successful Businesses. Over the 75 minute session, Eric gave a masterclass in Lean Startup techniques, addressed questions from founders on some of the finer details of the framework, and shared what he has learned from his entrepreneurial journey in the early 2000s as well as more recently as founder of the Long Term Stock Exchange. Eric discusses the difference between customer discovery and customer validation. He tells the story of a founder who interviewed prospective customers and was told that the product was great and that they would use it, but that when he asked those same customers to put their name to a letter recommending their bosses purchase the product, no one would do so. MVP (minimum viable product) has become a household term that was popularized by Eric. He discusses how founders can get over their fear of shipping something they perceive as incomplete and why he says the ideal MVP has “way fewer features than you think it needs.” He fields questions from Village founders on MVPs and talks about how small companies should think about their MVP when targeting large companies as customers.